The 15L Grace bin utilizes a noise reduction damper system, its innovative wall-leaning design is a real space-saver. Made from high quality brushed stainless steel the Grace is corrosion resistant. The 15L Grace can be used with small bin liners and even plastic carrier bags whilst still damper it utilizes looks. 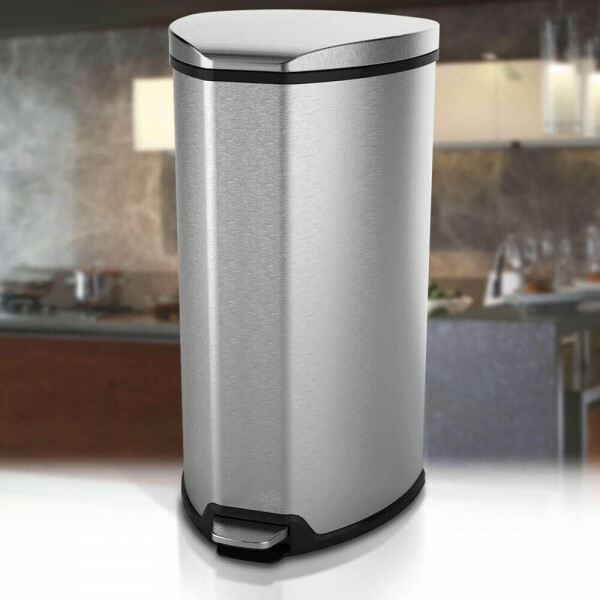 The Grace utilizes a damper lid closing system for a quieter waste disposal experience. The Grace is professional and aesthetically pleasing bin made from only the highest quality stainless steel. The Grace bin range can be used with any bin liner. The Grace has a flat back design which allows for better placement against a wall or kitchen cabinet.